For some, Spring Break may bring up visions of a beach vacation away from the dreary weather of the Lower Mainland. Even if we can’t get out of town, a break from the normal routine is nice. However, for many youth, the break from school removes the only healthy structure that they have in their lives. As a result, spring break can be a busy season for youth workers. This year, our team dedicated multiple days to outings and field trips with the youth that could give them something of value to base their time off of school on. It is always fascinating hanging out with youth outside of their normal routines. When you go out and participate in an activity together, you connect and grow your relationship. Not only that, we are shaping ways in which they can practice self-care in the times they may be lacking structure. This spring break we offered a mix of activities from silly to serious. 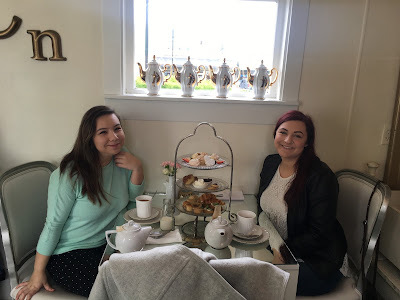 We did art projects, played video games, watched movies and discussed the social implications, and we even visited the Westminster Abbey in Mission. Of those trips, two of them stood out to me distinctly. The first was Castle Fun Park, an amusement park located in Abbotsford with arcade games, mini golf, go karts and more! You may wonder what is significant about taking youth to a video game arcade but for many of the kids that came with us that day, they have never had a chance to go to a place like this before. To them, video games are something they do alone when they are escaping the world. On this day we showed them that in a place like this we can build community by playing games together. The best part was watching the pure joy on the youth’s faces when we entered the 30-year-old building filled with the smell of mini donuts and sweaty kids. It was a fun afternoon full of laughs, trying to beat buck hunter and feeling nauseous from spinning on bumper cars. The awesome part is that this is my job - the even better part is that I get to connect with youth outside of our normal programs and create memories they continue to talk about. The second trip could not be more opposite to the environment of Castle Fun Park. We actually had to warn the youth about the silence they would experience at the Westminster Abbey in Mission. We pulled into the monastery and took youth to observe the monks participating in their daily prayer, explored the beautiful grounds and gave youth time to ask questions about what they had observed and how a place like this changes perspectives of God. The presence of the monastery conveyed tranquility and most of the youth commented on how peaceful it was there. It is not very often when youth are not distracted by technology or people. Two trips that brought joy, community and the opportunity to speak about Jesus. Maybe it was not as restful as laying on a beach but it certainly was more meaningful to the youth we work with. Because of your support I can be there to bring purpose, safety, and joy to youth that struggle in so many ways. For those of you that give financially or in prayer already, thanks for being a part of the journey. Your investment is making a difference. Please pray more people will join us on this adventure so that together we can help more youth experience moments like this, as well as, the love of Christ through my team of supporters and I. Together we can transform the lives of these youth.